I have been fortunate to make the acquaintance of the Kiras, Birch Bay residents who retired here after decades of owning and operating restaurants in California and Washington state. Before coming to the United States in 1978, they were residents of the Soviet Union, living in Odessa for many years. Mr. Kira trained as a chef as the Ukraine Institute of Cooking Arts. 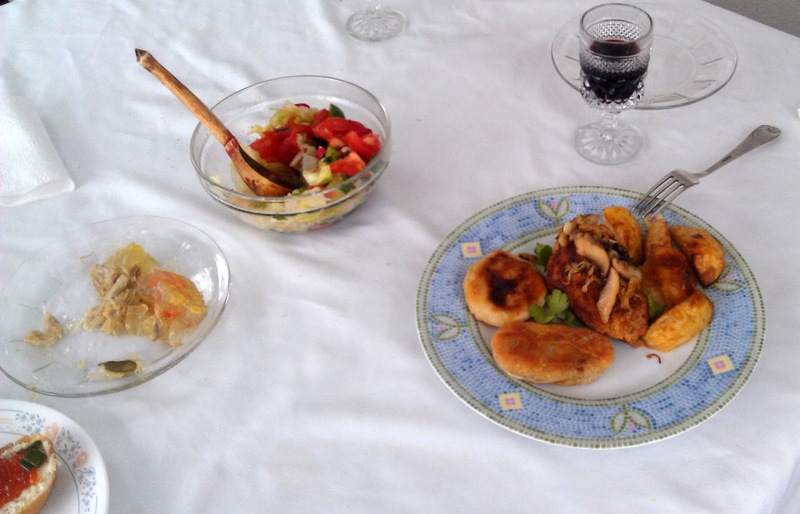 Mrs. Kira was raised in Romania, and draws on her childhood memories to inspire her cooking. 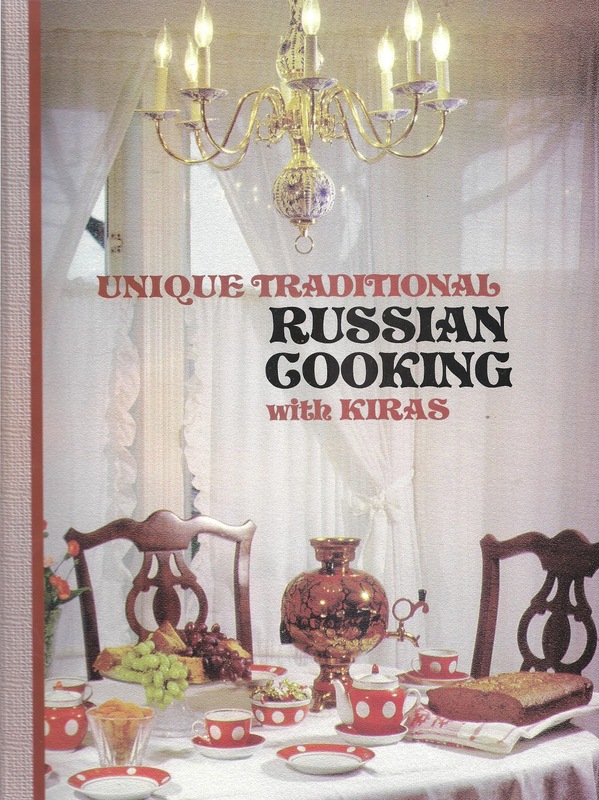 The Kiras have published a Russian cook book with hundreds of recipes they used when operating their restaurants. 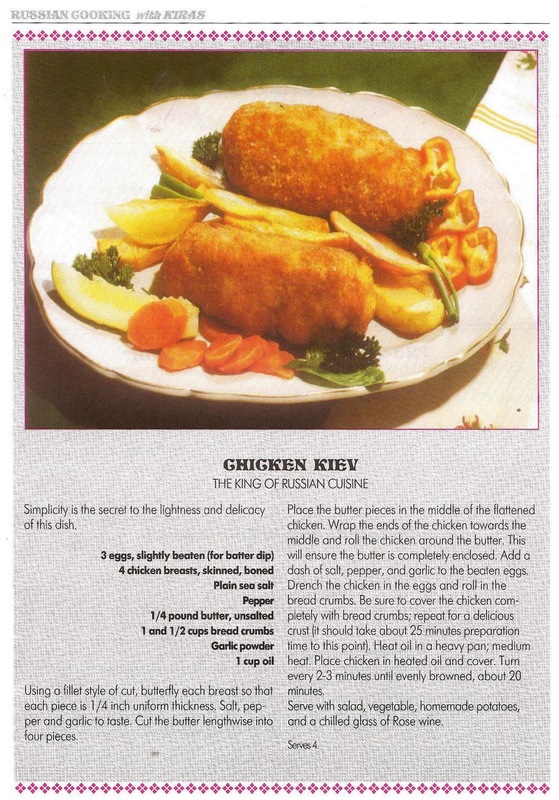 The recipes keep the distinct Russian taste, but are designed to be simple and quick to cook, and to be healthy. The book is printed on high quality paper and is illustrated with many vivid high quality photographs. The recipes are simple enough that even I can make the dishes. 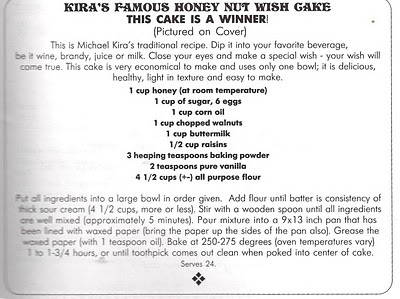 During the Christmas holidays, I made Kira's famous honey nut wish cake, and it turned out perfect -- almost (see picture below). 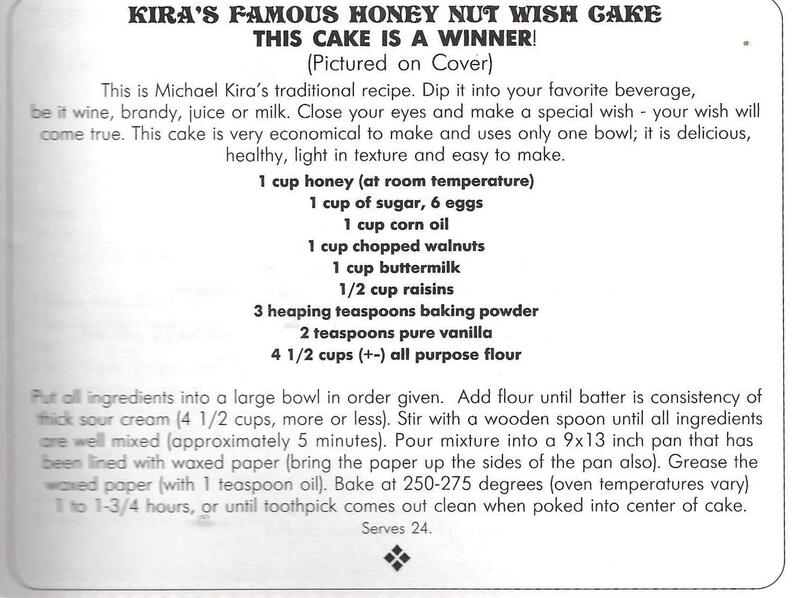 Mr. Kira tells me that I should have saved a few nuts to put on top of the cake. I can highly recommend this cake. I also made a cucumber salad using the recipe in the book and a more complicated vinaigrette salad, which has beets, potatoes, carrots, green pepper, onions, pickles, and a couple of other healthy ingredients. Truthfully, I had to call my friend Natalia -- who also grew up in the Soviet Union -- for some advice on how to cut up beets, but in the end had an enormous, tasty salad. Ever so often, I visit the Kiras and am rewarded with a memorable meal. The latest was last Wednesday. The meal started with a hot chicken soup with rice. The main menu included the food shown in the picture below. Many is the time that I tried to force a smile as I dutifully and manfully shoveled a small morsel of holodets into my mouth, managed to swallow it, and complemented the person who had cooked the unspeakable dish. Russians love it, and are surprised when Americans turn white after thinking about eating the first bite. Fortunately, eating Mrs. Kira's holodets did not require any forced smiles and false praise. It contained chicken -- shredded white meat -- lodged in a tasty and light jelly-like substance. It was actually edible and not too damn bad. In the center of main plate is a luscious Chicken Kiev. Mrs. Kira does not believe in stuffing the chicken with some high calorie cheese or the like. Instead, she uses some nice fresh butter. She topped this dish with some sauteed mushrooms. To the left of the Chicken Kiev are two types of piroskys. One is filled with creamed potato stuffing, the other with ground pea stuffing. On the other side of the Chicken Kiev, are some nice roasted potatoes with a light coating of paprika. Also in the picture is a mixed salad with several types of veggies to round out the meal. The desert for the meal -- not shown -- was a delicious chocolate pie made with a thin crust and sweetened with honey. 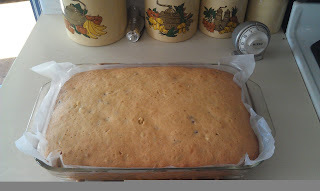 It can be eaten with either the red wine or hot tea. The book is being sold by Birch Bay Books which is a subsidiary of Eclectic (At Best). I am so envious of you for your having gotten to enjoy a recent meal prepared by the Kiras! My husband and I frequented the restaurant that they had in Everett, and we have been heartbroken ever since they left. Both they and their food are absolutely wonderful! We have their cookbook, and it is marvelous! Thank you for your comment. I will pass on your compliment to Mr. and Mrs. Kira. I understand why you enjoyed their restaurant. Their food is delicious, and for Russian cuisine, surprisingly light and healthy. Hi Dan, I saw this post and would be very happy if I could meet the couple. My husband and I are planing moving to this area - Birch Bay and we don't know anyone there. I would appreciate if you agreed to connect me somehow with the Kiras.